Season 7 of Fortnite is coming, and Epic Games has announced a new mode that will go live on December 6. 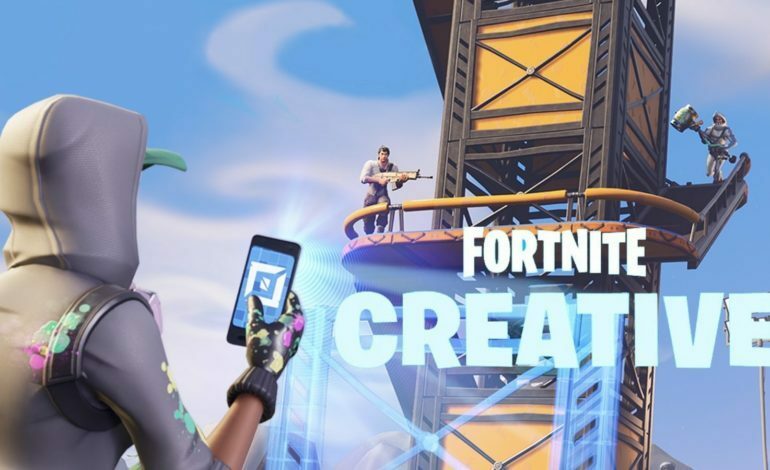 The mode is called Fortnite Creative, and with it, you can “design games, race around the island, battle your friends in new ways and build your dream Fortnite.” Battle Pass owners will be the first to access the mode during the first week of the season; afterwards, starting on December 13, all Fortnite players will gain access to the mode. Players will gain access to their own custom Fortnite server with unlimited resources. You can invite your friends to play on your server or you can allow other players to explore your island. Epic Games has revealed that a World Premiere will also be shown. Alongside the news of this new mode, season 7 was also teased earlier this week, revealing the theme to be ice. The tease continued the next day as snow started to fall across the map. There was also a leak of the battle pass skins that will be coming to season 7 of Fortnite, with one of the new outfits being the teaser image that foreshadowed the new season, while another skin seems to represent a mountain climber. In other Epic Games related news, the company recently announced that it will be launching its own online store. The store is set to be a direct competitor to Steam, which is the largest PC digital distribution platform. In addition, Epic Games also revealed that developers will get a bigger cut of the revenue compared to Steam. The new online store is set to launch soon with a “hand-curated” set of games before opening up to more games in the future. With Fortnite as big as it is, you can probably guess that it will have more than enough to share at The Game Awards. For more information on when The Game Awards start and where you can watch, check out the link here.